Yeah for summer! I hope I am invited to some of those super fun activities! yikes! I hate kid accidents. sounds like you have a fun summer lined up (unless you are an otter-pop), when does gimpy get out of his cast? 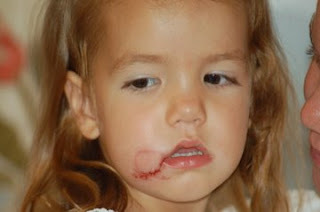 Damon, If you hate kid accidents then you should not be around my daughter....she is cursed I tell ya. El gimpo is in a walking cast basically through the summer. He is still on crutches at the moment, but we'll see what the doc says in two weeks. If you have any words of consolation or encouragement, send them his way....life is pretty sucky right now for him.